With this system, parents can lead their children as they model setting goals and meeting deadlines. As the child grows older, the job of managing all the papers and dates will shift to the child. Keeping everything in one spot is convenient and will help you be more organized. The kids will love to help design this fun homework station. Set a time for homework to be done and stick to it. Make homework a routine by having a healthy after-school snack first. Pick a quiet, well-lit area for homework. Be sure your child is working at a table or desk. Model setting goals and meeting deadlines. Praise your child for getting the job done! Pick storage bins and organizers with designs that suit your child's age and personality. The first thing to do is select a good location for your homework station. Ours is located in the breakfast room so the kids are able to do their work on the kitchen table. 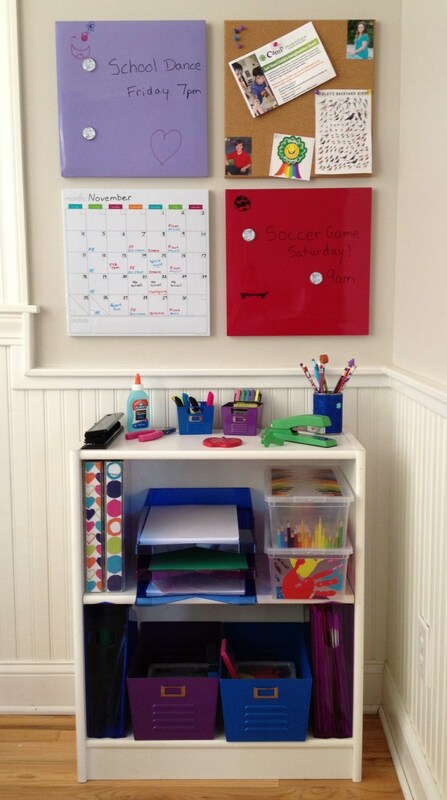 If your children have desks in their rooms, you may opt to locate the homework station in a nearby hallway. 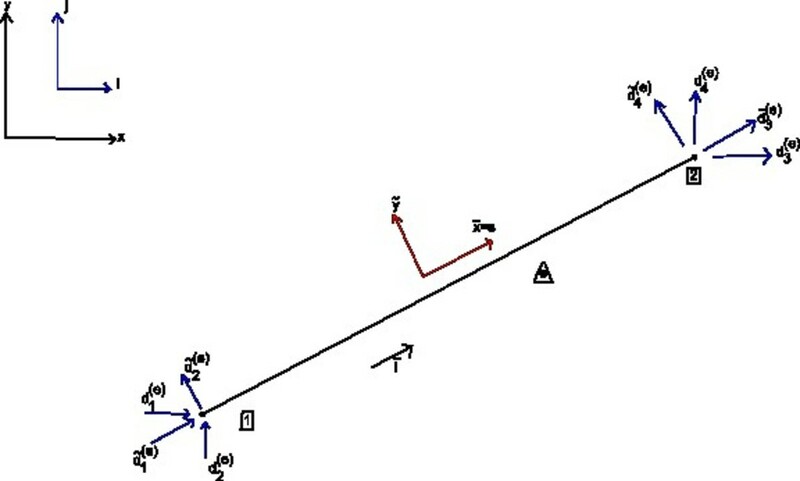 Try to find a spot that is near a desk or table, but is also very visible since the station serves as a planning center, too. Once you have a spot picked out, setting up the station is very easy. Community supplies go on the top shelf; school notebooks, supply boxes and paper bins on the middle shelf; and storage bins on the bottom. Arrange dry-erase boards and the peg board on the wall directly above the bookshelf. Place the calendar in a spot that is easy to reach for updating. 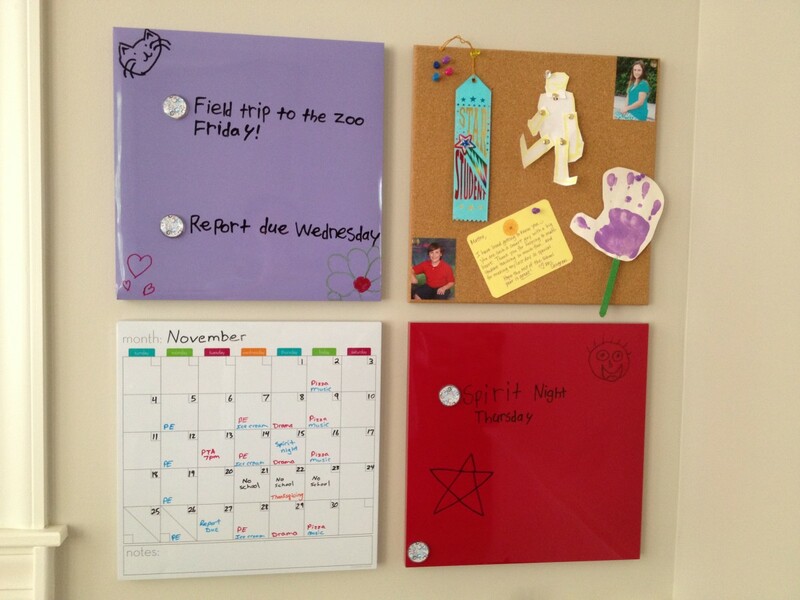 Your kids may want to personalize or decorate the dry-erase boards and storage bins. Let them take part so they will be excited about homework! 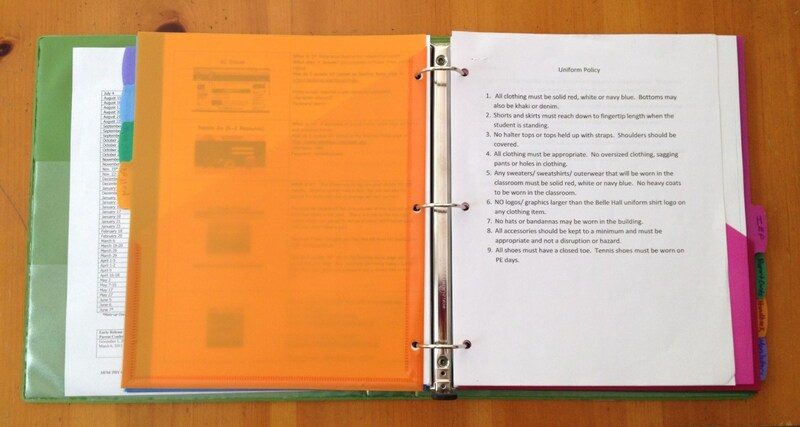 Colored dividers with tabs help keep forms and papers organized. Flip to the information you need with ease. I also include a section in the front for forms and class information that is updated often. Ideally, permission forms and sign-up sheets are sent back the next day, but there are some forms you will need to hold onto for awhile. For example, there may be class picture information, fundraising packets or Book Fair flyers. If you place a school form in the notebook, put the deadline on the school calendar so it will not be forgotten. Use different colored markers for each child. Use dry-erase boards to keep up with deadlines. Last year, it became very difficult to keep up with which day a child needed sneakers for PE; an instrument for Music class; money for pizza; money for ice cream day; to stay after school for Drama, and so on. 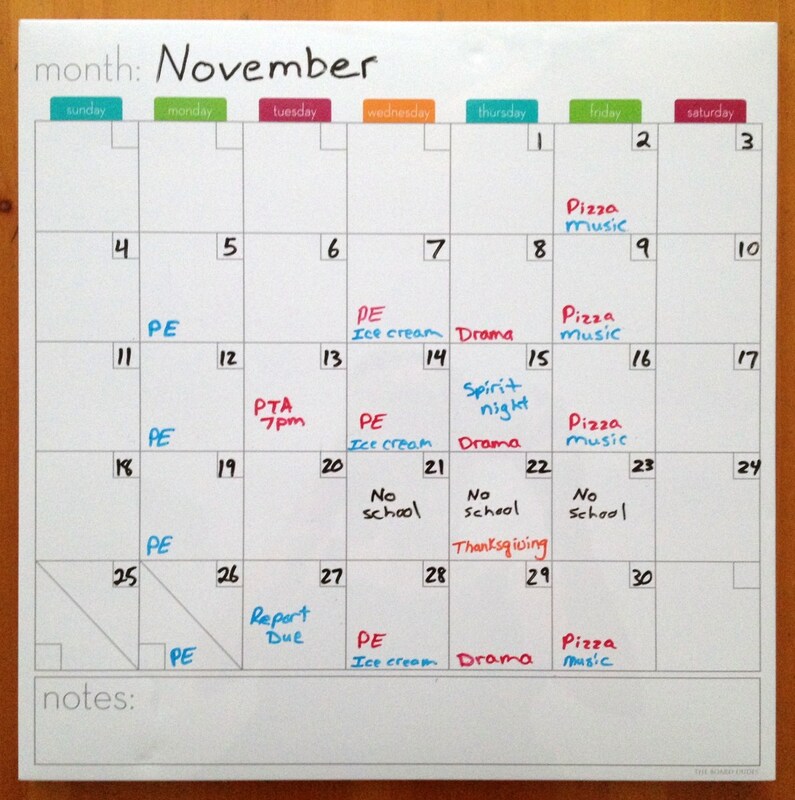 The dry-erase school calendar helps parents and kids prepare for the right day. On the calendar, each child is represented by a certain color. My son's PE and Music days are marked in blue. My daughter's Drama days and pizza days are marked in pink. School holidays are also marked on the calendar, as well as any deadlines. Along with the school calendar, I also have a solid-colored dry-erase board for each child. These are used to write reminder notes about upcoming events, for example, "Spirit Night Thursday at CC's Pizza" or "PTA Meeting Tuesday at 6pm." The peg board square is handy for school flyers or pictures. These types of boards can be found at super centers and office supply stores. Have fun setting up your own homework station and be sure to let the kids help out in selecting materials and putting it all together. 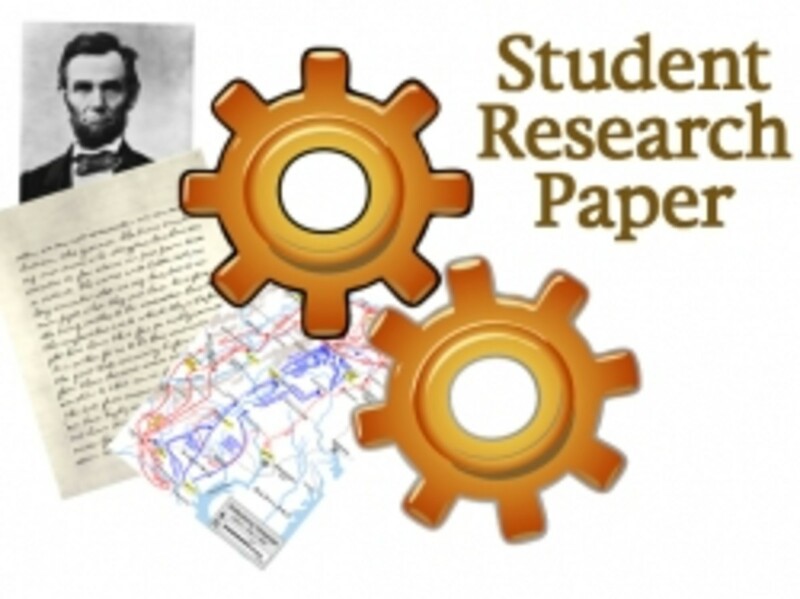 Do your best to make homework a positive experience! Where does your child do his homework? I LOVE this idea! I was wondering where you got the dry erase boards and cork board? I've been trying to find some that match in size but I'm not having any luck. Great ideas here Sarah. Not only is this useful for ongoing chores kids have but it's such a great way of teaching them order and working habits in a well kept environment. I know many adults who struggle with same issues they were having back while being kids, simply because no one showed them a better way. Hi, Megan. The smaller pink one came from Target. I think the matching pink and green ones came from either Marshall's or TJ Maxx. That might not help you much bc they probably are no longer available. But, I would check those stores for something similar. Could you tell me where you got the bins with the papers in them. (Pink, green and other pink one) from your first photo up at top. Thanks, Rebecca. It does help to keep all the school STUFF in one place! What a fabulous Hub! 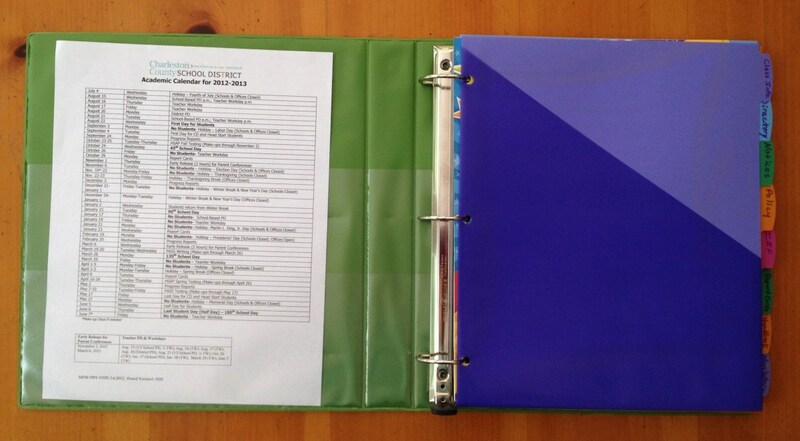 So very helpful for getting kids organized and in the mood for school. I am sure that it is a lot easier to motivate them to get their homework done and also to stay organized during the whole school year. I w=vote awesome, helpful and sharing all around. Hi, K9. Thanks for stopping by the homework station! When kids have a designated homework area they are more apt to do that homework without all of the fuss. Your timing is spot-on and the ideas are outstanding. Everyone wants a space to call their own! Hi, Robin. 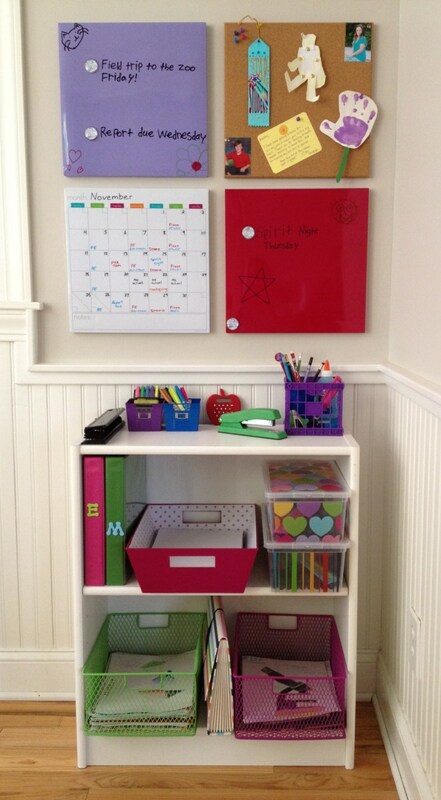 We all dread homework around here, but I am planning for this organized area to make things go more smoothly! I hope your school year will get a good start as well! Rumor has it that 4th grade sees a lot more homework! This is great and perfect timing for our family. Our oldest is going into 4th and middle into 1st. 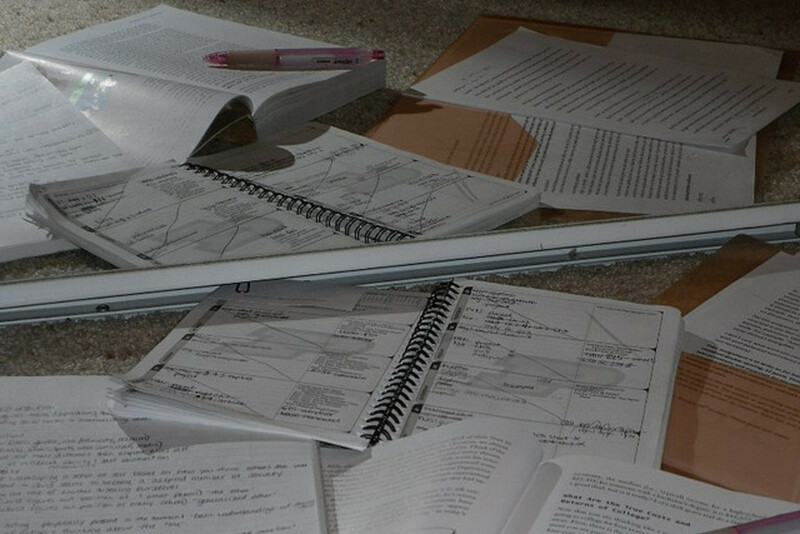 We really need more of a designated space for homework. You've inspired me to work on our office and make it more of a homework space. We already have the dry erase calendar, but there's a lot more to add. Great tips and advice! 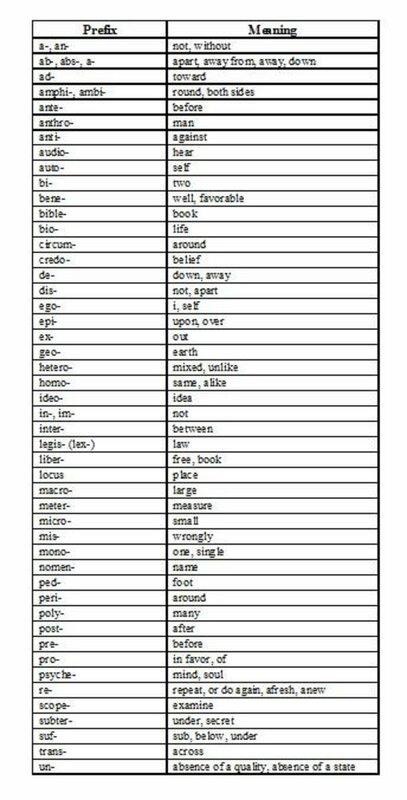 Thanks, teaches12345. Glad you liked this one - had a few friends tell me it was too early to think about homework and the school year! Hope you are having a great summer. Voted this one way up! My mind feels so relaxed just looking at the organization to this space. It is appropriate for those student/child needs. Well done! Hi, Teresa. You are right - adults could follow a similar plan. My desk is a mess, and I spend too much time looking for things that are buried. Awesome idea CS. My kids are older and for the most part take care of themselves but some of your suggestions still apply and I can totally see using this set-up for having the extra materials around that don't come home because they got left in their locker etc. It would also be handy for leaving notes/reminders etc. I can also see using it for the adults in our home. My hubpages schedule could be managed much more neatly with a set up like this. Lots of applications apart from kids but so very important for families with multiple schedules to manage for school! voted up and sharing!!!! !